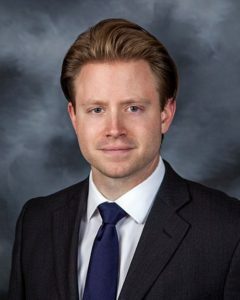 Jay Preston is a shareholder in the Litigation/Dispute Resolution, Transactional, and Marijuana/Hemp practices groups of Carnahan, Evans, Cantwell & Brown, P.C. Mr. Preston represents clients in civil litigation in both federal and state court focusing on business and real estate matters. Mr. Preston also assists clients in avoiding litigation through proper drafting of contracts/agreements, and counseling on how to deal with precarious situations. Mr. Preston attended the University of Missouri where he obtained a B.S.B.A. in finance, Master of Business Administration, and Juris Doctorate. Mr. Preston is a native of Springfield, Missouri, an eagle scout, and a graduate of Leadership Springfield and the Missouri Bar Leadership Academy. Various other disputes involving claims of fraud, negligence, defamation, conversion, and/or trespass.